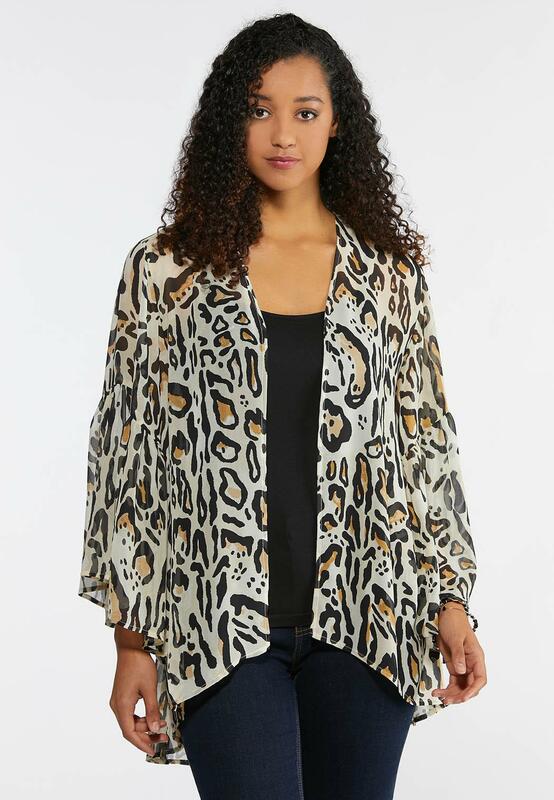 Bring beautiful life to a basic tank with this breezy layering piece, featuring neutral hues, a fabulous leopard print and ruffle bell sleeves. This is a great piece to wear over a tank or cami. The pictures don’t do it justice`;` this is even cuter in person. I’ll probably wear it with jeans, but I think it would look cute with black pants for work as well. In fact, the store had it merchandised with black career pants. I think it fits true to size but I could probably have sized down to a small and been okay. I usually wear a size 10 and bought a medium.